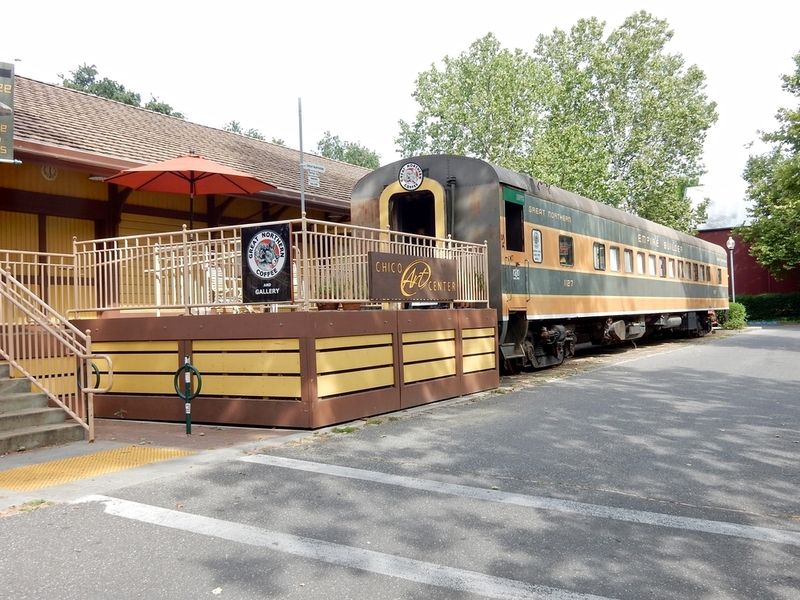 Parked at Chico, CA train station is this former GN coach, now serving as the Great Northern Coffee Shop. On this recent morning, it had a good crowd of coffee drinkers and computer users on the wi-fi. 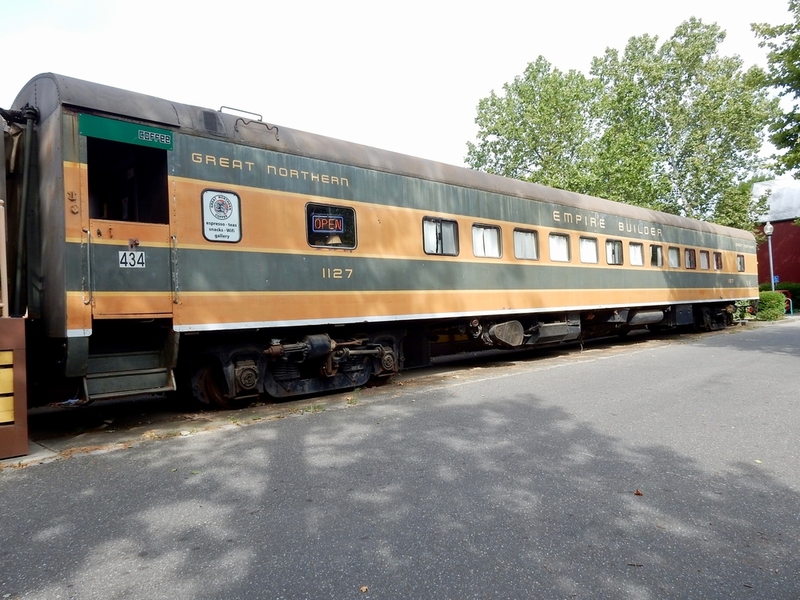 More than just a coffee shop, the Steaming Tender in Palmer, Massachusetts, is a full service restaurant housed inside the former Palmer Union Train Station which is nestled between two tracks. We were there a few years ago and it is a beautifully designed and restored train station; albeit now a restaurant, but maintaining much of the originality of the station. The website (below) lists the approximate times that the trains pass so you can time your visit to coincide with the passing of a train(s).